I believe that knowledge of finance to include: an ability to understand and communicate your financial model; cost structure; revenue streams and route to markets; is a fundamental requirement for every small business promoter. This is a two part blogpost on Finance for Startups. The first post will detail ten things I have learned about finance as it relates to startups while my next post will look at financing your startup and the options available. I have a strong working knowledge of Accountancy having studied it for two years as part of my Bachelor of Commerce in NUIG with Marketing as my major. I have used my finance skills in every role since and I now help startups and SMEs to compile financial projections for business plans and grant applications. Most serious conversations with startups touch, to some extent, on Finance. 1- How do I set pricing levels? 2- How should the business manage our cost base (and what cost base can we expect)? 3- What margins do we need to secure to ensure that the business is viable and sustainable? 4- What level of turnover is required to justify either a bank loan or attract equity investment? 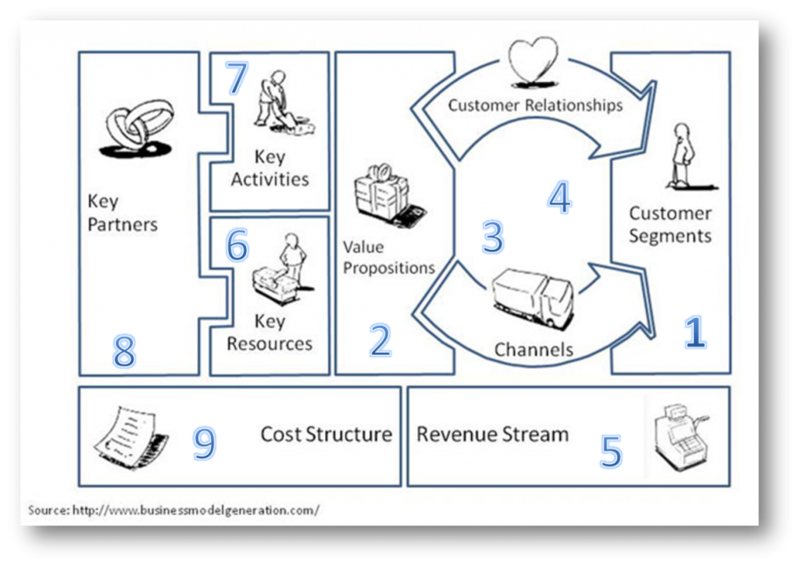 These are all elements in defining your financial model which is at the core of your business model. 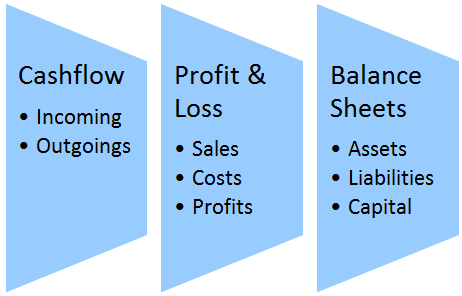 The fundamental importance of Finance is reflected in the Business Model Lean Canvas – with Revenue Streams and Cost Structure being two of the key key business blocks of the business model canvas as per figure below. ‘Implementing your business plan will cost twice as much as you think and probably take twice as long as projected in your business plan’. My advice to pre-startups is to start saving money for your startup before you finish your current employment (the earlier the better). #.2 My experience of engaging with startups is also that business startups work very long hours often with limited (financial) reward in the first year or two particularly for Technology based startups. My advice to pre-startups is that you will need to discuss the financial implications of starting a business with your immediate family (if applicable). At the recent SCCUL Enterprise Awards in Galway, Bobby Kerr, the former Dragon said something to the effect that he personally would not mind if a business failed from a financial perspective, but he did feel pressure that he would be denying his family a good life if the business did not succeed and that this probably influenced his perception of risk. In any event, you will need to plan your own personal budget based on the projected salary that can be paid by your business. It is ok to forego salary from a startup for a short while, but long term this is not sustainable. If your business can not pay you a competitive salary then this reflects on the viability of the business over the longer term. In this regard, I often suggest to people that they set up as a Sole Trader as this can offer flexibility over the short to medium term. I know of several people who followed their dreams and set up their business as a Sole Trader and then easily moved back into the mainstream employment market after a few years when the reality of running their own business and the opportunity cost involved became evident (one got an offer that he could not refuse!). I remember learning in school that businesses lose money in year one. This is not necessarily true. Service businesses should gain revenue immediately and should reach breakeven and indeed profit in a matter of months. I often remind startup promoters that establishing a business with regular service based revenue streams is a valid route to help pay for product to include software development, particularly if you are gaining industry and domain knowledge. Equally, I know of businesses that set up to distribute or retail a product range in order to gain market traction which they utilised to launch their own range of products. Starting a business will cost money. Staff salaries, product development, and marketing all cost money. 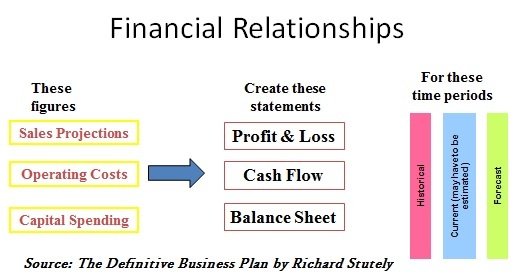 Understanding the financial model is critical to ensuring that a return is achieved. By the same token you need to be careful with the money available – no need for plush expensive offices in the middle of the city if that is not a factor for your customers. The best way to not have to worry unduly about the cost base is to attract profitable customers. I attach three images (click to enlarge) that I use as part of my training …. 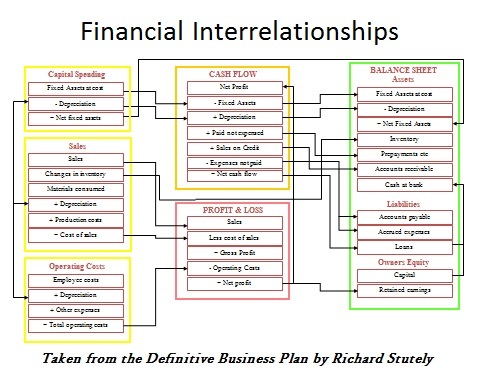 while the third is a little more complicated – it graphically portrays the double entry nature of accountancy. – A business is making a profit but there is no cash in the bank .. and how do we solve this? – There is money in the bank but the Accounts show that a loss is being made … and again if this can be addressed? Every small business owner (and startup) must have within their team someone who is good on Finance. There is training and one to one coaching available so that strategic decisions can be taken with the full backing of the numbers! Starting a business is indeed an investment in the long term. My advice to startups is to set budgets and accurately track your costs both in terms of Profit & Loss and Cashflow. I also advise startups to engage with a business advisor or mentor who can take a strategic view of your finances [this can be an experienced business person that you know, your accountant or indeed a mentor provided by an enterprise agency]. This management skill is generally referred to as ‘financial control’ and is critical for every business. There are grants available depending on your business. As a business owner, you need to understand the criteria that apply and the level of matched funding required. 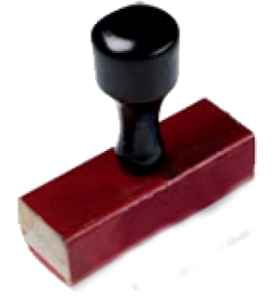 For more on where to start with Enterprise Agencies see my article for Small Business Can. Small Business Owners need to decide what business functions they look after internally and which ones to outsource to include professional services provided by Accountants, Web Designers, and Branding and PR Agencies to name a few. You will need to evaluate the benefit in terms of cost savings, learning and control of DIY options versus the professional outputs available when experts are used. I generally advise startups to leverage startup goodwill to get the best deal possible (without affecting level of effort expended) as most businesses remember what it was like to be starting out and are happy to help you at the startup stage – it is very much about establishing a relationship that works. 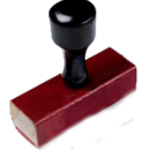 Small business to include startups need to embrace procurement best practice. All I mean here is that you need to get quotes for every major expenditure. I was mentoring an established small business about three years ago. I suggested that the owner review all supplier contracts as the business was under pressure to maintain margins given a reduction in acceptable prices in the local market. He was shocked when he checked prices and found that some of the suppliers which were established based on personal relationships were not offering the best deals (and he was being taken for granted). It is generally accepted that one advantage of starting a business is the flexibility to start with a clean sheet and to reinvent how things are done. Startups have significant advantages given the availability of online resources. Many SaaS services offer free price plans which are ideal for startups – they make their money when you increase number of users. I really like Ronan Skehill’s blogpost on this topic – every situation is different so the tools you need will vary. As always I hope you enjoyed this blogpost … comments welcome and appreciated.Part II will focus on the situation in Ireland facing starting looking to fund their startup in terms of attracting angel and equity investors.